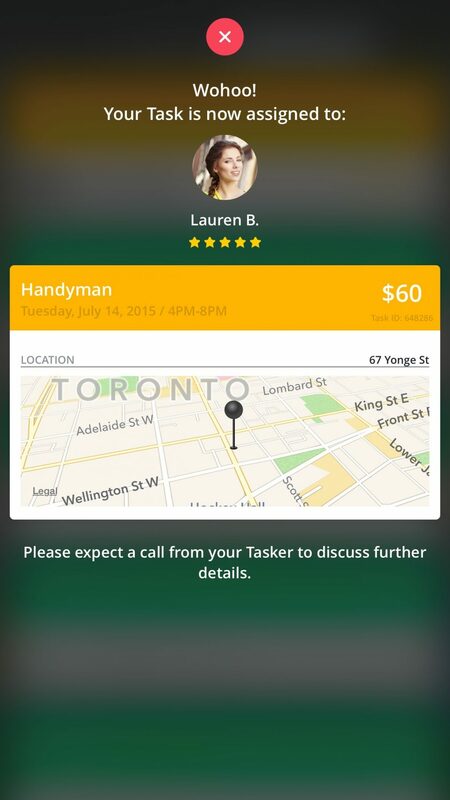 Today, AskforTask announces the launch of its new app, which will include an up-to-date interactive map of available ‘Taskers.’ The expanding website’s user base “is growing 40 per cent month-over-month and has saved Canadians over $50 million to date.” The site now also boasts over 150,000 Taskers in more than 150 Canadian Cities. The Toronto startup wants to save you time, which might consequently save you money. AskforTask took the old “time is money” saying to heart and created a website that helps you pass on your most tedious chores to eager Taskers. It’s as if they’ve taken Craigslist, Yellow Pages, and that uncle you call to fix your leaky faucet and created one simple, user-friendly service. Anyone looking to have an odd job completed can post their task on the website, which will then match them with locally qualified people willing to do that task. These people are known as Taskers, and are required to main tain a customer satisfaction rating of at least 3.5 stars (out of five) to remain active. It’s the digital equivalent of that crowded bulletin board at your local coffee shop, except tailored to match people with tasks they are actually suited for. Muneeb Mushtaq, CEO of AskforTask says the company was conceived out of a frustration with traditional employment options during his college years. Since then, he explains that the company has expanded and diversified to attract Taskers with professional skills (think handymen) as well as seniors looking to keep busy. It has also grown in the past year to include a new initiative called AskforTask Business. This service follows the same principles as the normal one, but matches business with the extra set of hands that they might need. Mushtaq says that Google Canada and TripAdvisor have used the service and been pleased with the results. It also provides small businesses and startups the opportunity to expand their operations at a low cost. Instead of hiring someone to work for them long-term, they can hire someone whose employment centres around a singular task. Whether it’s distributing flyers or filing important documents, AskforTask can connect small businesses with people willing to fulfill specific needs. Mushtaq, who is a graduate of the University of Toronto, is looking at the future of AskforTask as an evolving open marketplace that will continue to grow and expand. He hopes to incorporate more sophisticated quality control and background checks into the website soon. So next time you really don’t feel like mowing the lawn or fixing that floorboard, don’t! Post it online and see if a Tasker is willing to do it for you.